If you are still not taking English seriously for SSC CGL Tier-1 Exam, You are committing a big mistake because this subject can really help you not only in Tier-1 but also in Tier-II exam as well. In SSC CGL Tier-1 Exam, it 50 marks questions are asked from this subject. It becomes 200 in SSC CGL Tier-II Exam. 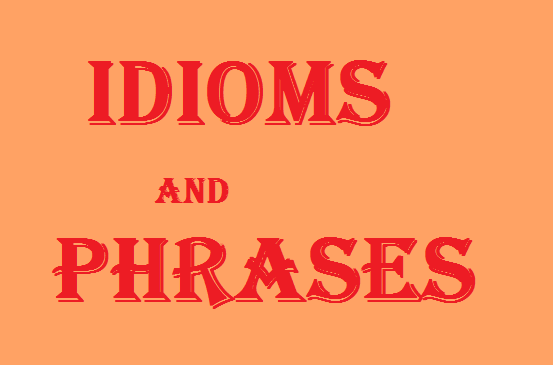 Today, I am adding a Free online test on Idioms and Phrases which can give you at least 5 marks in Tier-I exam. Participate in this Online Test and judge your preparation level. This test is not lengthy or time consuming. It has only 10 questions. For one correct answers, you will get 1 marks. For 1 incorrect answer, you will lose 0.25 marks. After the completion of this test, do share your marks. If you liked this test, Share it on your social networks.